In this day and age, just about anyone can trade. Seriously, if you were to look at the market players today, and compare it to twenty years ago, there would be a huge difference. No longer is trading limited to huge hedge funds and private banks, or even the rich and famous and highly educated. Nowadays, retail traders have made a name for themselves as well, filling the ranks with ‘average joes’ and changing the face of what we once knew to be a trader. Today, traders range from teenagers dabbling in stocks trading, to busy stay at home moms and entrepreneurs juggling their trading hours with their busy schedule, to retirees enjoying the hustle and flow of the markets in their never ending free time. The face of trading has changed significantly, and so has the type of trading too. Relatively new, foreign exchange trading was formed in the 1970s and since has exploded into something that has strongly gripped the financial industry. Many attribute this immense growth and popularity to how the Forex market structured itself over the years. For one, it was more accessible compared to other financial markets, not to mention it was also more liquid, and has responded well to technological advancements. 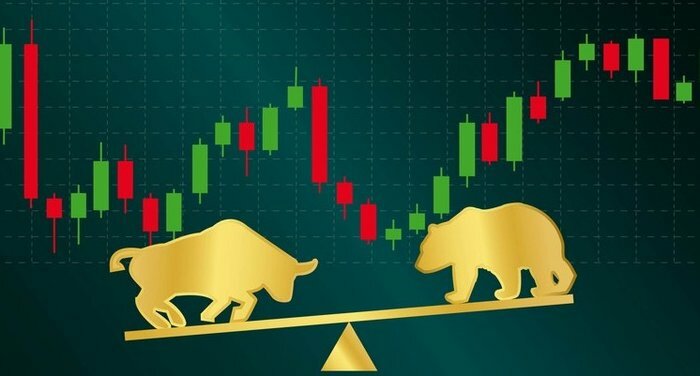 The advantages of forex trading are linked to how the market has been developed and grown over the years, compared with other markets like the stocks and futures markets. The evidence of that is the explosion in the amount of retail Forex traders and Forex brokers that have taken place in the past decade, not to mention forex trading learning materials like books and programs that are obviously being produced because of a large demand for such material. That being said, the distinct advantages of forex are not only linked to how the market is set up, but also in the personal development opportunities that is offers to those who engage in this market environment. That is to say, the benefits of forex can be seen by themselves and not only when compared to other financial markets like stocks. So what exactly are the benefits of forex trading? This is the main hook of forex trading that not many other financial instruments can compete with. Putting it plainly, it is much easier to get into the forex trading game, than it is with other markets. It is well known that retail traders trading on the Forex spot market, can start their trading with a relatively small amount of cash investment. This is in part because of the large amount of brokers out there who give competitive rates to new clients with the initial deposit amounts because they wish to give attractive offers, and partly because of a little yet powerful thing called leverage. In comparison to stock trading, which generally requires a large sum deposit to begin delving into the market, some forex brokers only require new clients to give a low initial of $500 or sometimes even less. This makes forex trading a very attractive offer for those who wouldn’t have the financial capability to cough up a large deposit of $10,000. This makes the Forex market way more accessible to the average joe, who now has the opportunity to make a profit with his small investment. Now compared to the other financial markets that operate worldwide, the Forex market has the most available liquidity. It is this way, because unlike other assets, there is always a constant demand and supply for money. Forex is also different to stocks and bonds markets which have a physical location (the New York Stock Exchange). This has its own advantages as foreign exchange is operated wholly as a truly decentralized exchange, and is considered OTC (Over the Counter). This means that the entire Forex market is operated electronically. This means that no one entity has control over the pricing of assets unlike with the NYSE. This also means that the pricing of currencies depends heavily on the flow of demand and supply, so economic conditions and market sentiment dictate the price of currencies. Because the forex market is not centralized, this means that forex trading can take place anywhere in the world. (Yes, even in a cave, if the cave has a proper internet connection!). Another of the advantages of forex trading is that the forex market is open 24/7. This means that you have access to the market all day and can adjust your trading hours to your daily schedule. Before leverage, the trading in the financial market was only limited to those who had huge sums of capital. As you can imagine this would limit the market players to really rich individuals, or to institutions like the banks and hedge funds. With leverage, no longer are little players like retail traders left out of the market, because they can now take larger trade sizes. Leverage remains one of the greatest benefits of forex trading. When using leverage, a forex trader buy or sell the equivalent of maximum 500 times more capital than he actually has. This allows the trader to gain substantial profits that he would not have gotten with his small investment otherwise. This one of the great forex trading advantages however, has its downsides. It needs to be understood in order to used properly, otherwise leverage can work against you. Just like how using leverage can provide you with large profits, if a trader does not know what he is doing, this can also mean large losses. So, leverage, as with all great things, should be used with a measure of caution. Forex trading for a while was considered the baby of the financial markets, this means that it has been closest to the technological development age. Software development has been crucial to the appeal of forex trading because it has contributed to its convenience to traders. Forex trading platforms are now available online, and on mobile platforms that can be downloaded to your phones so you can trade practically anywhere. 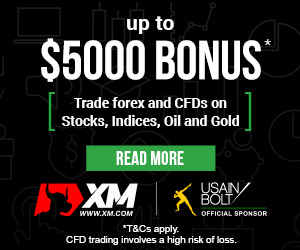 Also, because of the relative newness of forex trading, another one of the advantages of forex is that it has the newest trading platforms, unlike other financial markets like stocks whose brokers tend to have much older trading platforms. Forex benefits do not end there. Another one of the great forex trading benefits is rooted in the structure of the Forex market. Unlike other financial assets, a trader does not need to acquire the currencies that he will be buying and selling, like with stocks or government bonds. This gives the trader the potential to make short trades that could not have been done with other financial instruments. In the forex market you can quickly buy and sell a currency and collect your profits in a matter of seconds (this is will be dependent on other factors like internet speed connection, and the performance of the trading platform and broker of course). A trader can also make profit in any market direction, as he is able to buy or sell the currency pairs directly (because he does not need to acquire/ physically buy a financial currency before selling it). Forex advantages also extend to the brokers that offer traders the market access. Most Forex brokers allow their clients the ability to view and experience their services without the need to deposit real funds into their live accounts. This demo feature allows clients to have a close to live trading experience, to learn how the trading platforms work, and to hone their trading skills without the risk that real money poses. This offers a level of security, that makes trading with real market conditions risk free on the part of the Forex trader. There are also a world of learning material for new traders, and many benefits for those who become professionals. Professionals can have access to services that trading platforms like MetaTrader4 and MetaTrader5 offer. This includes signal selling services where professional traders can trade their own accounts and sell their trading signals to other traders who use Metatrader. This would allow the trader to gain money not only performing his usual trades, but also to earn an extra side income. And the more people sign up to receive his signals is the larger the income will be. This means that his trading performance would be directly related to how many individuals would sign up to receive his trading signals. This means that a trader with a great strategy that produces consistent profits would have a great opportunity in this environment. Unlike with other financial markets, when trading forex, you do not need a license to consult your investors virtually (these are the people that would buy your trading signals). This is not the case with trading stocks where if you wished to provide investment advice you would have to first obtain a license. With all these forex benefits it may be a wonder why some people still avoid the Forex market. For some it is the fear of the unfamiliar that keeps them from making the first steps towards trading in the market. For others they are fearful of the risks that Forex poses, but in reality the risk that forex poses is inherent in any trading environment. As with all things, the advantages that Forex offers should be used with reasonable caution in mind. While these benefits do give a trader an advantage, the ability to make consistent profits is ultimately up to the skill and attitude of the trader.